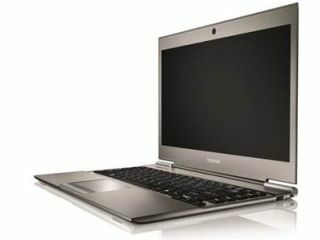 Toshiba has announced the Portégé Z830 and Satellite Z830 UK release dates, with late November being when you can get your hands on the two slender 'ultrabooks'. Announced at IFA 2011, the Portégé Z830 is the daddy of the two – it qualifies as an Ultrabook by incorporating Intel Core i5 and i3 processors and claiming to be "slimmer than a glossy magazine" at 15.9mm. The very good looking Portégé comes with up to 6GB of DDR3 memory, a 128GB SSD and a 13.3-inch HD resolution LED display. The lower-spec Satellite Z830 also wins the Ultrabook badge, although Toshiba reckons it's a better choice for studensts, families and anyone "looking for a stylish entertainment portal" – who isn't? Both laptops come with USB 3.0, SD and HDMI ports, but sadly sans UK pricing which will, presumably, be announced closer to the late November launch.